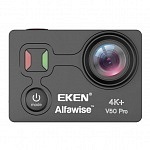 EKEN H8 Pro is the first EKEN camera with native 4K resolution! That is also indicated on the packaging which says real 4K. 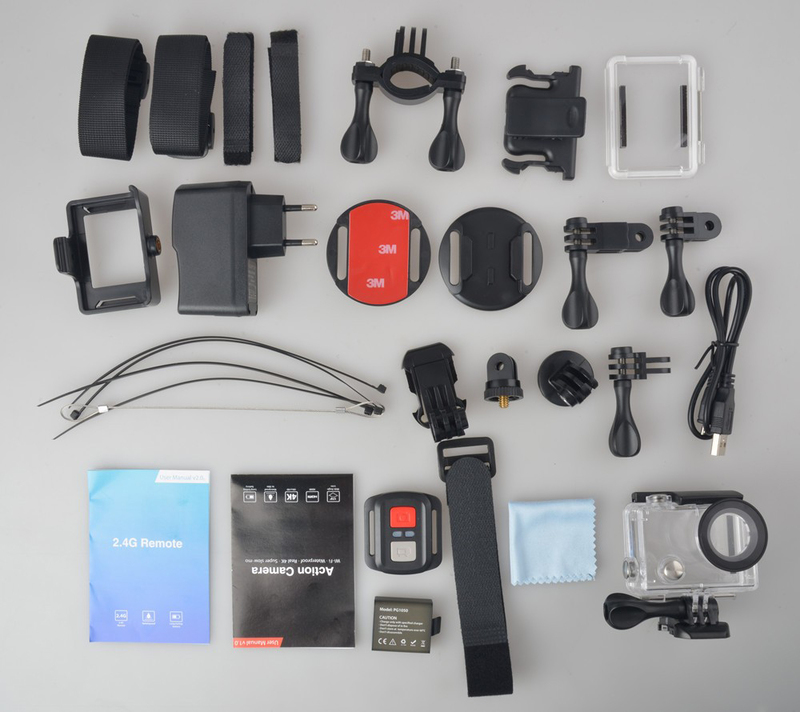 Later EKEN H8 Plus was released which is a improved version of H8 Pro as it holds a better sensor! Fur further infos on out of production models see my EKEN comparison article. 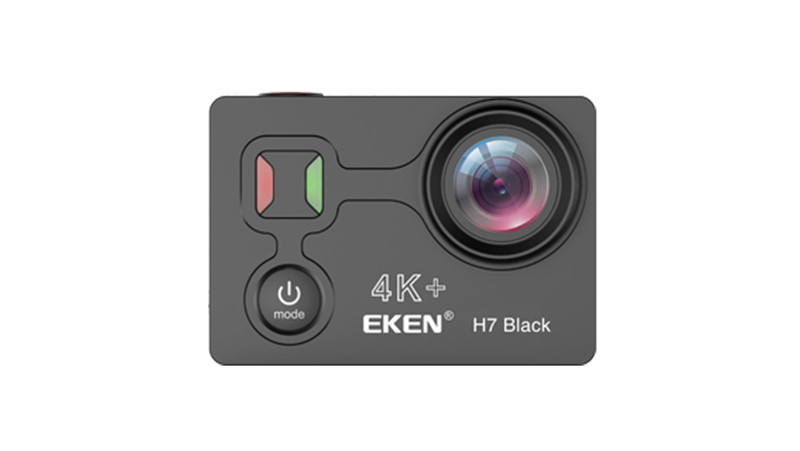 EKEN H8 Pro uses a 12,4 MP Sony IMX078 sensor, the same sensor used in the EKEN H8 as well as Firefly 6S, SJ5000X Elite and SJ8000. EKEN H8 Plus uses a 12,4 MP Sony IMX117 sensor, same sensor as used in GoPro Hero4 black. EKEN H8 Pro uses a new Ambarella A12 chip. This chip enables the camera to process native 4K video from the sensor. In comparison a Sunplus 6350 chipset is used in EKEN H9 & H8. 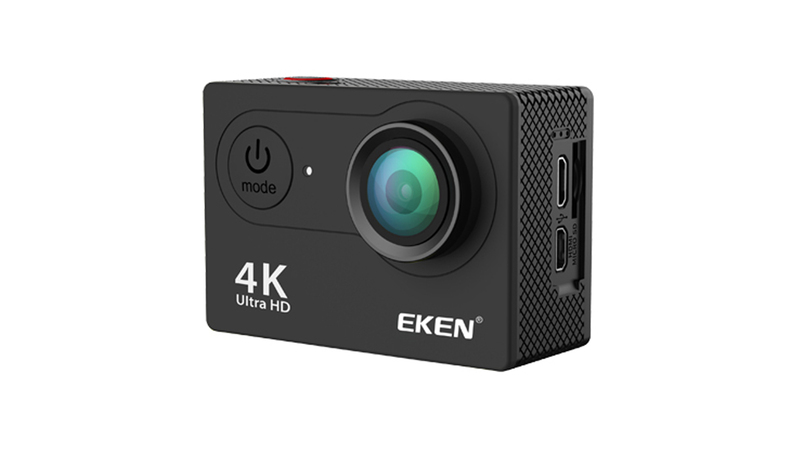 As mentioned in the beginning, this is EKEN’s first native 4K resolution camera. 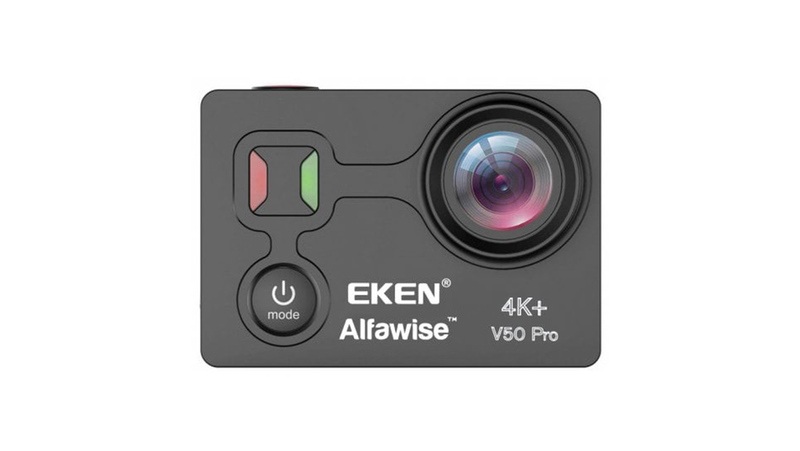 EKEN H8 Pro has a 170° lens. It also offers a HDMI as well as an USB port. Mic in via USB & A/V out via USB are not available! With the other models the name indicated if a remote is included (EKEN H9 = no remote / EKEN H9R = remote included). Good news, the remote is included with the H8 Pro, no special name. Usually EKEN states 16 or 32 GB cards, but 64GB cards also work, they just weren’t guaranteed. Min. class 10 / U1 is recommended. With native 4K resolution recording I would recommend using an U3 microSD card. 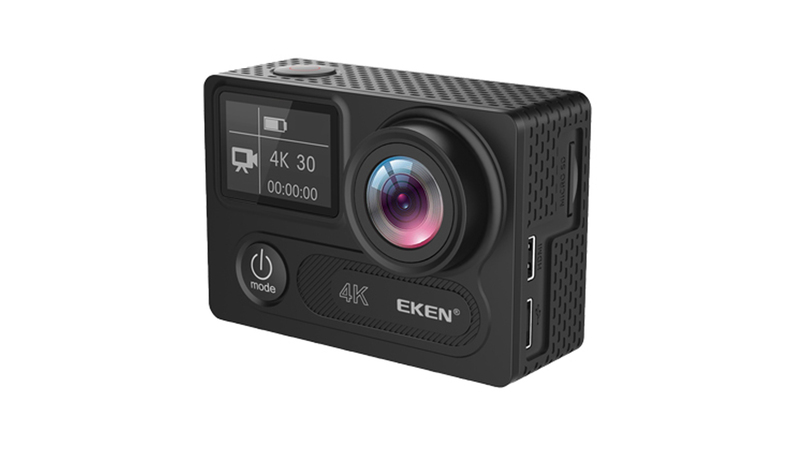 The EKEN H8 Pro has a “dual display” similar to H8, which means a data/status display on the front and a 2” live view screen on the backside, similar to GoPro Hero 4 silver. Like the other EKEN models, H8 Pro features a 1050 mAh battery. Attention! 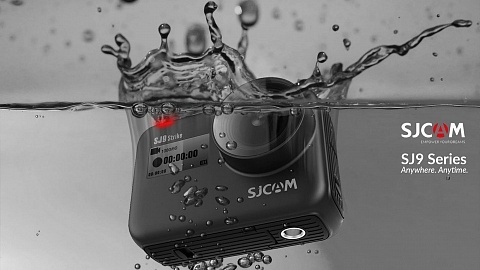 Earlier H9 models were compatible with SJCAM SJ4000 & SJ5000 batteries. The new EKEN batteries with the rounded corners are NOT compatible with SJCAM SJ4000 or SJ5000 series batteries! 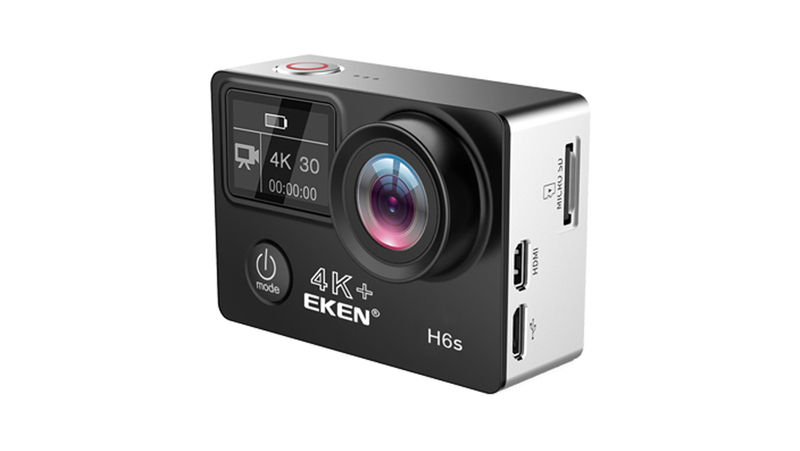 EKEN H8 Pro has the same size & button layout as EKEN H8 and GoPro Hero 4. 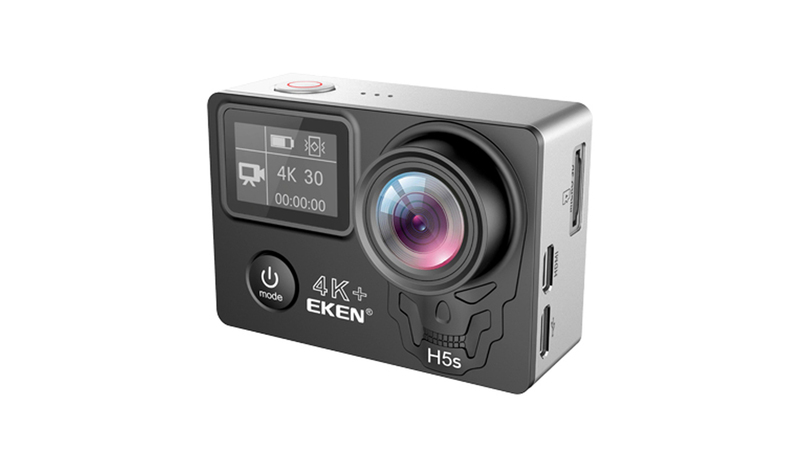 EKEN H9 is a bit larger and has the same size as SJCAM cameras (SJ4000 & SJ 5000 series). 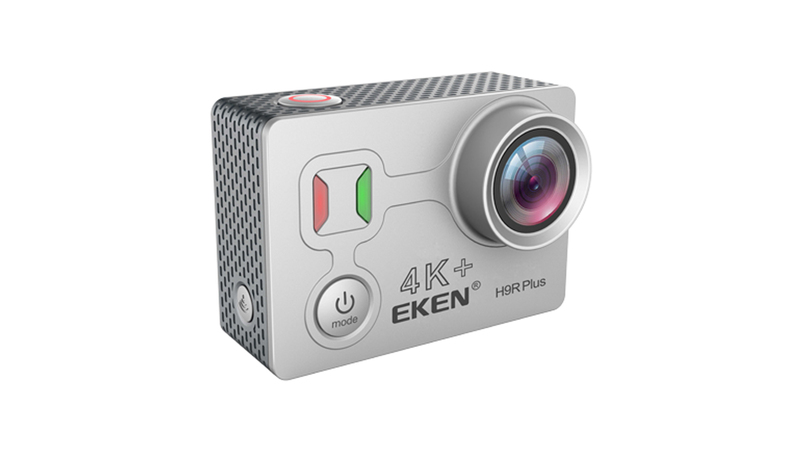 As EKEN H8 Pro is the same size as a GoPro Hero 4 it is compatible with most GoPro accessories. 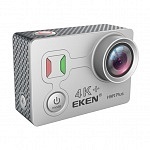 EKEN H8 Pro includes a remote control – no special version! – it is available in 7 different colors. Note: EKEN as a different design of screws compared to GoPro. 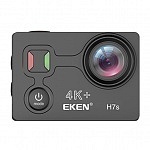 EKEN H8 Pro has the same size as a H8, but a different size than EKEN H9. 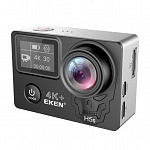 Whereas the EKEN H9 is the same size and has the same button arrangement as SJCAM SJ4000 & SJ5000 series; EKEN H8 Pro is the same size with the same button layout as GoPro Hero 3 & 4. 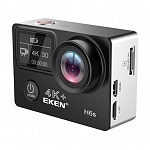 Similar to the GoPros EKEN H8 Pro also go a small data LCD screen on the frontside, displaying the current settings of the camera. On the right side you’ll find one button (wifi-button), whereas the H9 had two buttons to scroll the menu. 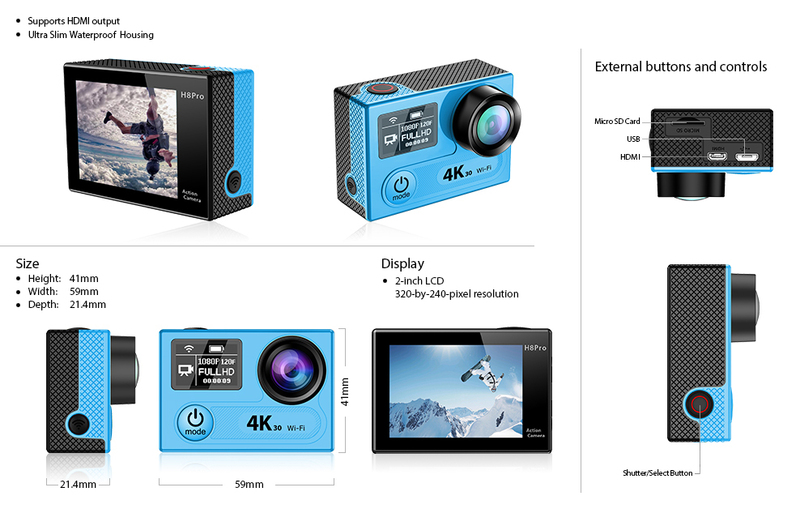 Two buttons are easier to use, but the GoPro also has one button, so I guess EKEN H8 Pro sticked with the one button design to match GoPro accessory. 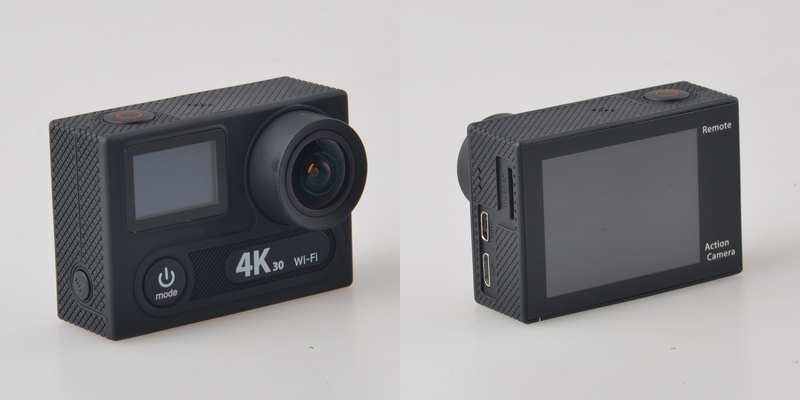 On the back side both cameras feature a 2″ LCD screen. The menu is a bit different between EKEN H8 Pro, H8 & H9. More on that later. The layout on the left side looks a bit different, but the ports are the same: micro HDMI, microUSB and microSD card slot. You can find a data comparison of these cameras in my article: EKEN camera comparison – H9 vs H8 vs H8 Pro vs K8. There are no options to select PAL mode which will give you 25fps (and a multiple of that). It’s a bit strange that there are 200 fps in 720p available. It should be 240 fps (a multiple of 30 fps). Usually 200 fps is used when the camera uses a PAL 25 fps standard. The only options are 12 MP (= sensor size) and 8MP. There are two selections available 1 min. and 5 min. Currently I’m not sure what it means. The camera will record 10min. clips and overwrite the earliest clip when the microSD card is full. This option is not available in 4K and 2.7K resolution. Now you got way more options compared to EKEN H8: 3 photos in 1s / 7 photos in 2 s / 15 photos in 4s / 30 photos in 8s. 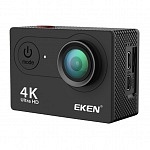 This is a photo time-lapse mode, so the EKEN will take individual pictures but not generate a video clip out of it, which you have to do manually. You have to switch it on to take time-lapses. Finally the label is clearer than “continuous lapse” which was used earlier. You can select 50Hz, 60Hz or Auto. I guess it controls the shutter to avoid flickering as the frequency in lighting is different in several countries. English, Traditional Chinese, Italian, Spanish, Portuguese, German, Dutch, French, Czech, Polish, Turkish, Russian, Japanese, Korean & Thai. Be sure to enter when using the time stamp option. You have several options to control when your camera should beep and the volume. off, 1 min, 3 min or 5 min. 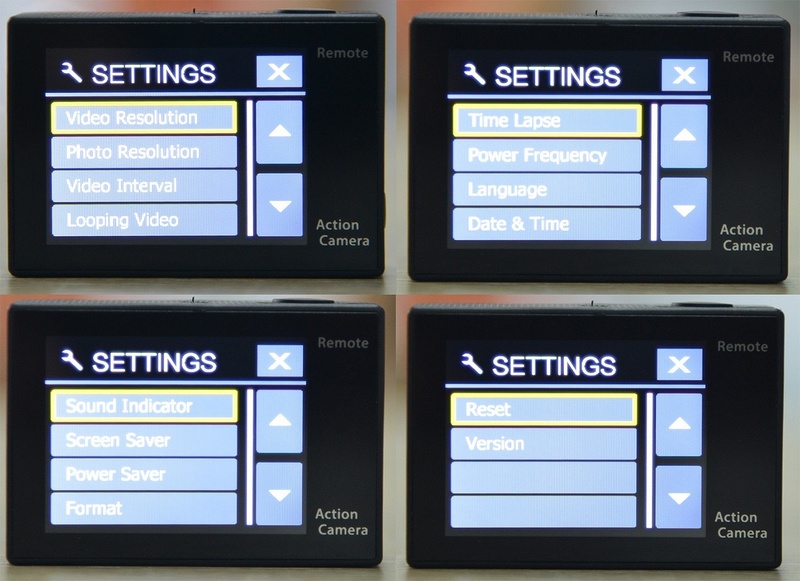 Interestingly “Metering” is no longer available, as well as Upside – Down Mode. EKEN H8 Pro uses Ez ICam App (same as H9 & H8) available for Android and iOS. You have to switch on the camera’s wifi and then look on your phone for network ICAM-H8 Pro followed by a series of numbers. Open up the EZ iCam App and select your camera – then the live view is show. I was really excited when the EKEN H9 was released as it was labelled 4K, which was rare during that time. Soon disillusion followed the excitement, as I learned H9 only shoots an interpolated 4K video with a max. of 15 fps. Later on the frame rate was increased, but still it is not real 4K. 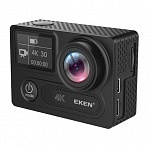 Now I’m excited again, as EKEN H8 Pro seems to be the cheapest native 4K camera available with a price tag close to 150 USD – compared to a 249 USD YI 4K action camera e.g. 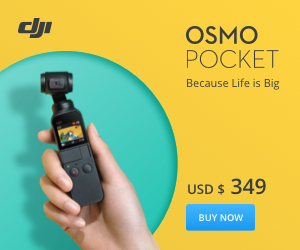 Yes it may offer less features (no touch screen, no electronic image stabilization,…) but it comes with lot’s of accessories. Let’s see the results when the first videos are online. 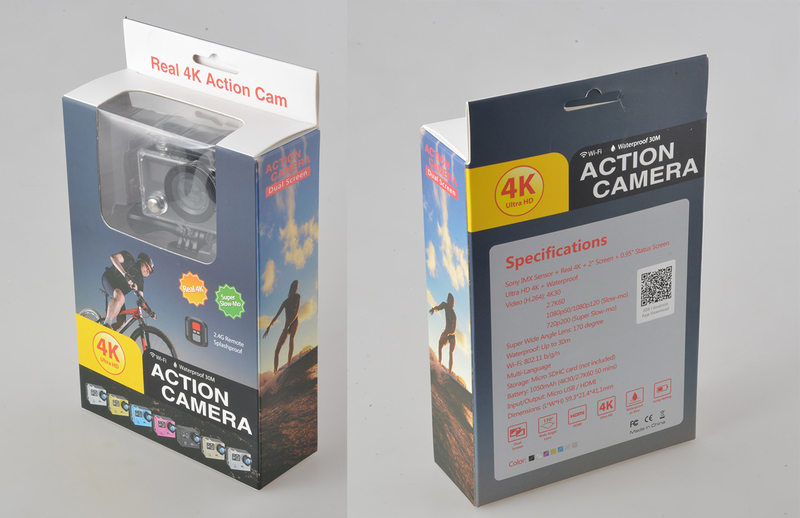 Here you can find an overview of native 4K Action Cameras. Remark: Infos are taken from EKEN’s website & Retailer’s Website.